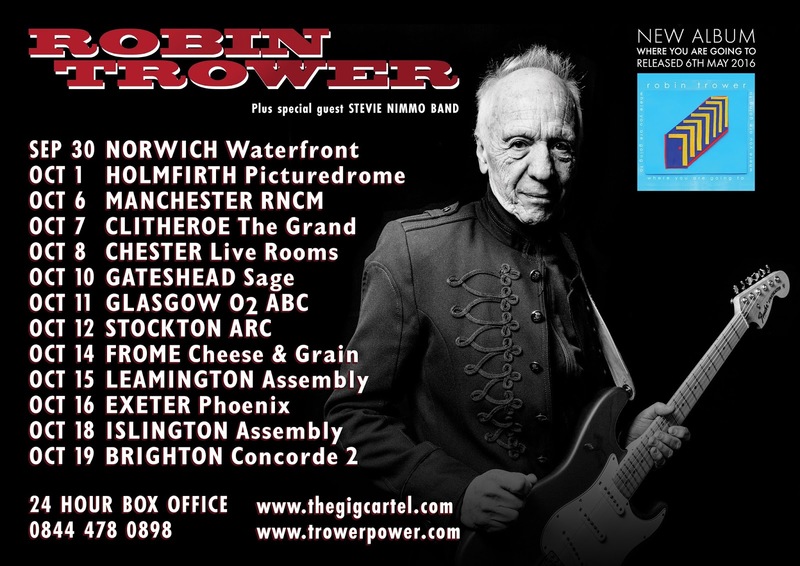 Robin Trower UK Tour Dates 2016 & New Studio Album "Where You Are Going To"
Robin Trower's creative and unique guitar playing powers are still in evidence with each concert tour and album. His musical vision, abilities and passion continue to astound me. Just when I think Robin may run out of stamina and ideas - the guy is seventy-one: yes, yes, but how does he do it? - along comes 2016. A year which finds Robin in the middle of a US tour, releasing a new studio album "Where You Are Going To", and undertaking a UK tour in the autumn. 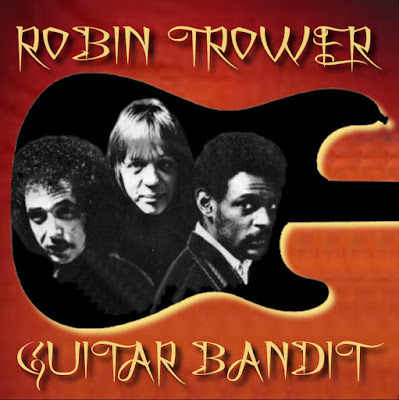 On another level, some reviewers and critics of Robin Trower and his music are so rapt in nostalgia and comparisons with other musicians' that their writing shows an inability to think deeply, to pay attention, to listen. Perhaps 'they' should grow a pair of ears, or get a job at a local theatre selling ice cream; doing something they may have an inkling about. Robin Trower opened his current US tour in Fort Lauderdale, Florida on 30 March 2016. Customarily his many fans were out in force to welcome and witness a great musician and gifted guitar player in live performance. It is gratifying to read that Robin and his band - Richard Watts (bass and vocals) and Chris Taggart (drums) - are getting a great reception at each concert and that Robin is still playing with passion, spirit, power and eloquent phrasing. Music should move you to the core of your soul and I, like many others, prefer an artist who plays with sheer emotional power over an artist who plays with technical perfection. It helps your brain to breathe. The tour will help to promote the new studio album "Where You Are Going To". Robin's new album is steeped in history, emotions, the human soul, reflection and introspection. The music is finely blended, as it has been since the early 70's, and goes down easy. Undoubtedly, Robin is going through a powerfully creative phase in his career and I believe that the new studio recordings deserve critical praise. The music, melodies, arrangements, lyrics, guitar parts/tones, solos, drummer Chris Taggart, and the production combine to create a fresh and emotional soundscape. Any reservations I may have had regarding Robin's vocal and harmony abilities have been dispelled on this record. 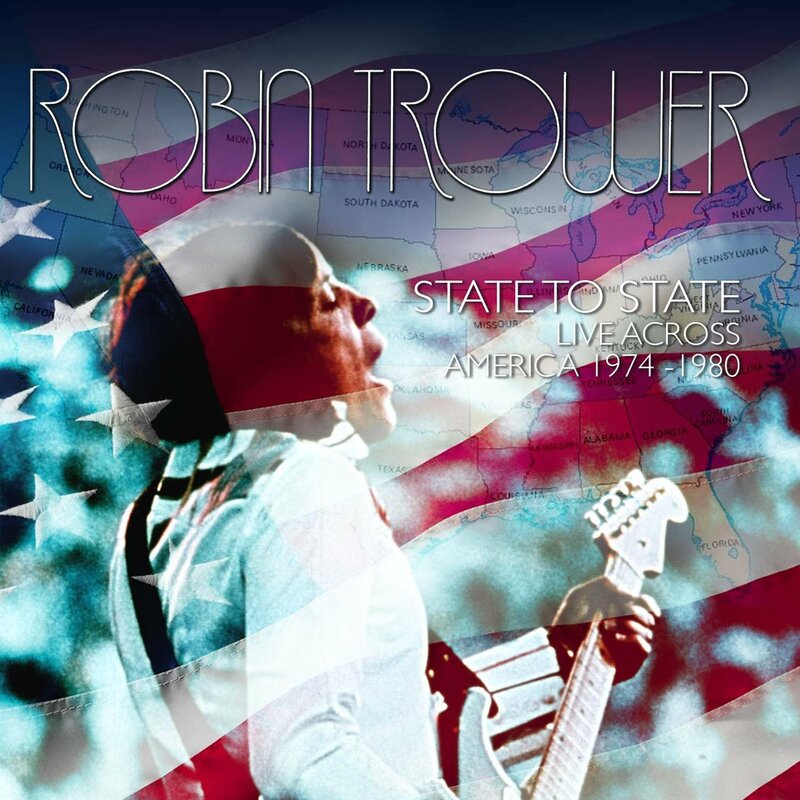 "Where You Are Going To" has all the resonances of Robin Trower's best work. Buy the album and catch him in concert while you still can. 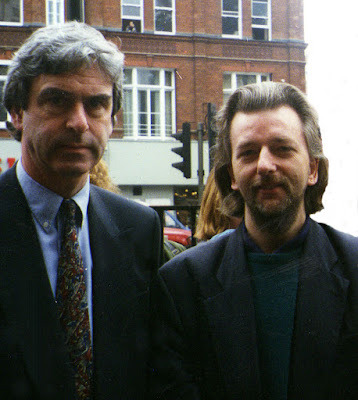 Rory Gallagher's comprehensive story is finally being brought up to date. I'm pleased that Taste's performance at the The 1970 Isle Of Wight Music Festival is being released on DVD, Blu-ray, double-disc vinyl & CD formats on 18 September 2015. Any review of Rory's life, music and unique guitar playing would remain imbalanced and incomplete without footage of the seminal and inspirational music Rory created and performed at the outset of his career with Taste. I was fortunate at sixteen years old to be at the festival with my older brother and witness Taste's performance. From the opening riff of "What's Going On" Rory and Taste (Richard McCracken on bass and John Wilson on drums) had the crowd enthralled. The extraordinary power, dynamism and breathtaking improvisation created by Taste, and Rory's magnificent and emotional guitar playing, was a shot in the arm - mid-afternoon - after some uninspiring performances from preceding artists. Taste were buoyant and their stellar performance generated a spirited and sincere rapport with the large crowd. Each song of their set was followed by a storm of applause. I'm disappointed that no footage of Taste performing 'I Feel So Good' is available. Rory's innovative and singing guitar sound reached a 'peak' on this song during their performance. Moreover, the bass and drum solos by Richard McCracken and John Wilson are sadly absent from the film. The fact that the tracks asterisked below contain incomplete, duplicated, or mostly crowd footage during the performance is also a disappointment. Fans of Taste and Rory Gallagher will welcome the bonus features which include a film on the history of Taste and three tracks from the German TV series Beat Club: 'Morning Sun', 'It’s Happened Before, It’ll Happen Again' and 'If The Day Was Any Longer.' I believe, however, that the P3 music promo videos for 'I’ll Remember', 'What’s Going On' and 'Born On The Wrong Side Of Time' are artistically banal in visual & narrative style, and, instead of enhancing the music, get in the way of it. 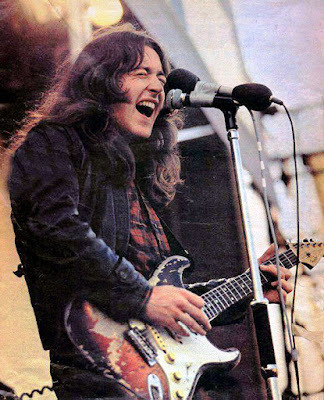 The successful performance of Taste at the Isle of Wight in 1970 established Rory Gallagher as a prodigious talent and a charismatic and passionate guitar player. Just as the popularity and fame of Taste was increasing with audiences, record buyers and critics, only an "inner circle" knew that the atmosphere within the blues/rock trio and its management was beset with dissatisfaction and sustained tensions. Given that Taste were still producing memorable live performances, receiving rave reviews in the music press, most of their fans had no knowledge, or reason, to think that disharmony was tearing the group apart. 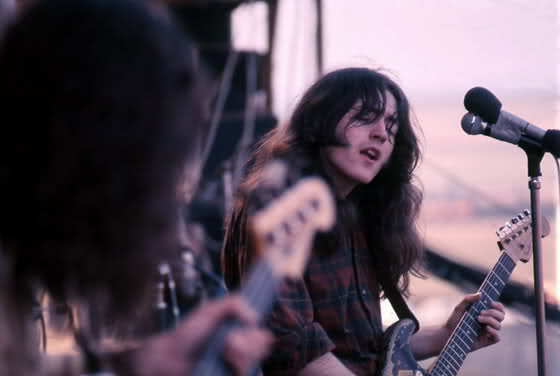 Rory was just twenty two years old in 1970. Taste had achieved considerable success in Europe and were attracting a growing audience with each passing gig and day. I remember reading the cover of Melody Maker in September 1970 and trying to take in the shock announcement: "TASTE SPLIT". What had caused the early disintegration of a supreme rock and blues trio led by Rory Gallagher, a rare talent and musical genius? The vast majority of Rory's fans were not privy to the anxieties and problems that beset Taste, their management, agents, record company, or the mindset of group members on the cusp of success. What I do know is that the unpredictable demise of Taste ended with a short lap of honour which included concerts in Belfast and Dublin. The music and magic were still present. 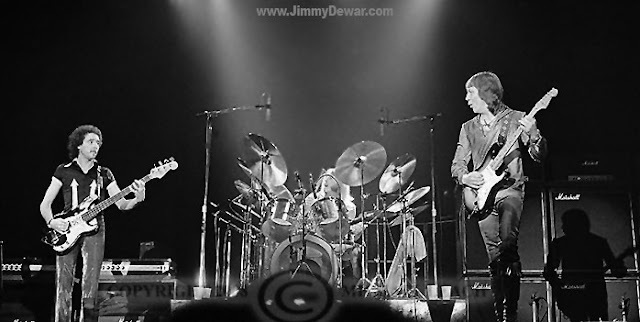 Fans watched and listened to "three" gifted musicians playing to the point of physical and emotional exhaustion. The burden of leading a band brings great physical and psychological demands and can be exhausting to a passionate, sensitive artist whose own life places great value on integrity, honesty and commitment. 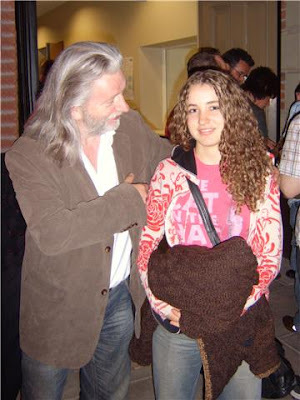 I'm just glad that Taste existed and, in Rory Gallagher, produced a genuine musical legend who played in his own unique style with grace and passion, and enriched the lives of so many people worldwide. Moreover, Rory remains an inspiration for successive generations of guitar players. Daniel A. Muise's book: 'Gallagher, Marriott, Derringer and Trower: Their Lives and Music' provides, through interviews, a kaleidoscope of memories of Rory's life, music, and premature death which, at times, is difficult to read without experiencing profound sadness. 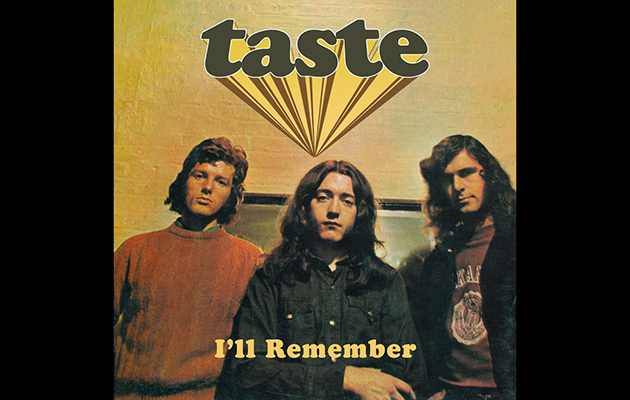 A four CD Box Set titled I'll Remember containing 'remastered' versions of Taste's studio albums Taste and On The Boards (as well as bonus tracks) will be released on 28 August 2015. The box set contains previously unreleased 'live' recordings from Stockholm’s Live at Konserthuset (1970), "Off-Air" recording at the Paris Theatre, London (1970) which includes blistering and dynamic renditions of 'I'll Remember' and 'Railway and Gun', and the Woburn Abbey Festival (1968); also, demos recorded in Belfast (1967) and sleeve notes with rare and previously unseen photographs. I'm thankful to have the 'original' vinyl albums of Taste I purchased in Belfast in the late '60s and early '70s and which still take 'pride of place' in my record collection. 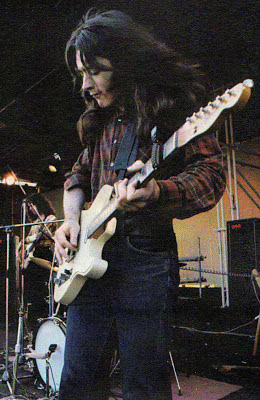 I believe that Rory Gallagher's musical career, at times, lost impetus and direction (similar to all established musicians), and his singing voice periodically wavered in its emotional resonance (due in part, to relentless tour schedules, long set lists, and the impassioned and organic nature of each performance). Sadly there was never to be the likelihood of Rory performing, during his solo career, any of the classic, timeless songs he composed and recorded with Taste which still touch the emotions in profound and unexpected ways. Re-issuing and re-packaging Rory's music is to be welcomed and will undoubtedly attract new listeners to his music and guitar playing. Words cannot do justice to Rory's looser live performances where the magic and the music really happened. 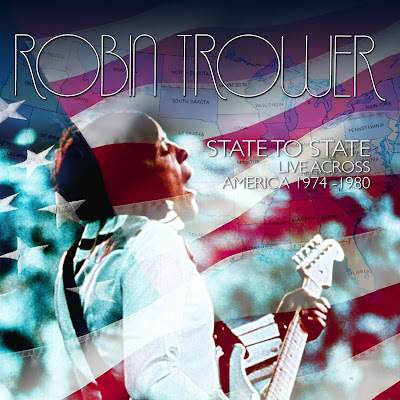 Robin Trower is an engaging musician and guitarist much undervalued in his own country. 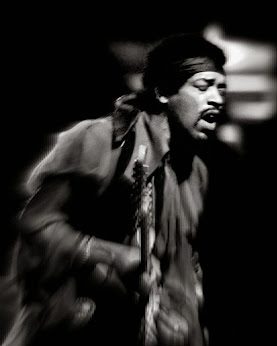 His music is direct and soulful in its intensity, especially live. Robin creates a lyrical, ethereal sound quite unlike any other guitarist alive or dead. Frankly, the constant comparisons of Robin's guitar playing and music to other musicians is damn tiring to read never mind listen to. The comments and prejudices expressed by mulish music critics, reviewers and music aficionados about Robin Trower's solo work are depressingly predictable. I see no point in grading musicians and guitarists as better or worse among themselves. I respect their genuine differences. Even at their least successful, the music created by a musician may be admired and have deep meaning to the listener. It takes great physical, emotional and spiritual stamina to sustain a successful career through each different phase, each new studio album, and to continue to reach listeners and inspire other musicians. 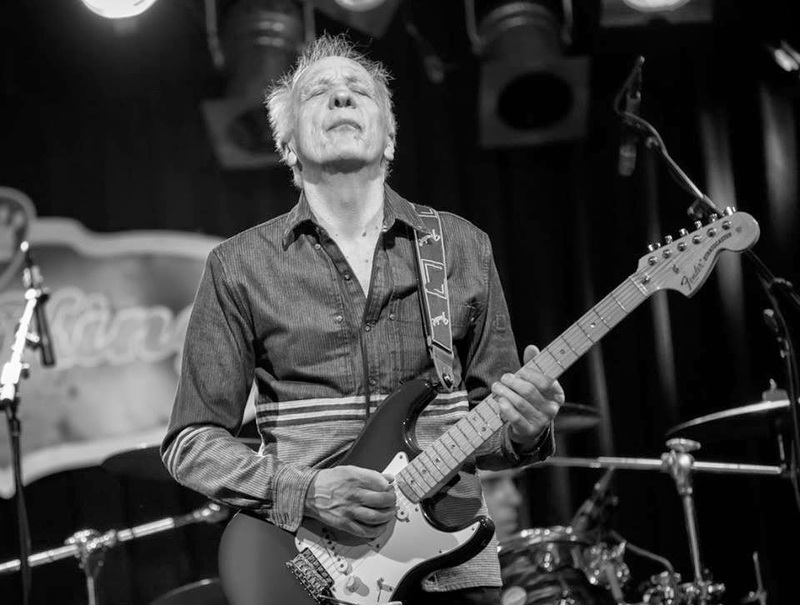 Robin Trower remains one of the most gifted electric guitar players of the twentieth century and thankfully he is still creating music and playing in performance today. I hope, and suspect, that someday Robin Trower's music and guitar playing will receive the recognition it genuinely deserves. This summer Robin, with Chris Taggart on drums and Richard Watts on vocals and bass guitar, will be on tour in the USA starting with a concert in Tulsa on 2 June culminating with a gig in Seattle on 3 July. I'm sure the atmosphere at each concert will be highly charged with expectation and emotion. Also, that Richard and Chris will provide the perfect musical backcloth for Robin to solo with his unique guitar style and sound. I admit to disappointment, however, that the set list for 'recent' tours has remained virtually unchanged. It would be wonderful if Robin showcased other songs from his extensive musical catalogue in live performance. One of the great pleasures over the last decade has been the inclusion of songs from diverse periods of Robin's career which have invigorated his set. 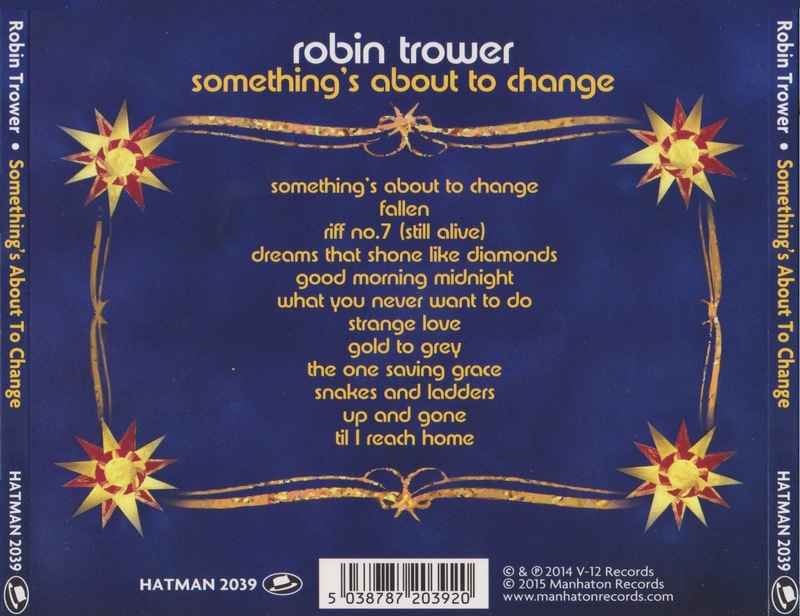 The variety and range of musical output by Robin Trower from his earliest work to the latest album, Something's About To Change, is to be admired for its spirit, soulfulness and quality. In interviews when Robin comments on his studio albums, long after they've been released, he acknowledges that some albums fall short of his own vision and artistic expectations. Each person has their own long-standing favourite Robin Trower albums and tracks. While I believe that some of his albums are uneven in quality, and contain songs which sound repetitious or simply vapid, I'm always pleasantly surprised by the magic generated by some of Robin's new material. 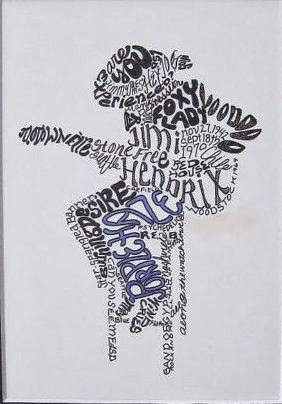 The lyrics, music and guitar solos tend not to get lost and lie ingrained in the memory. 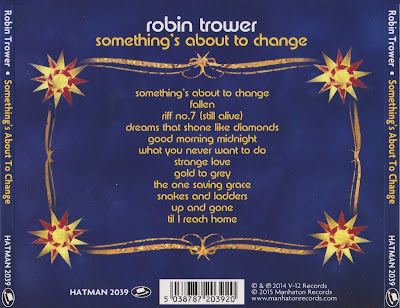 The title track 'Something's About To Change' opens Robin Trower's new album. The atmosphere and sound is Robin at his best. 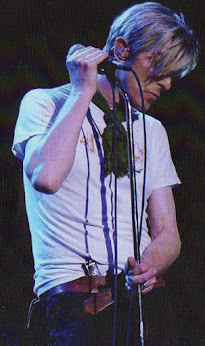 The drums and bass create a hypnotic "cooking" rhythm and the song contains Robin's best vocal and guitar soloing on the album. The song provides a great build-up to Robin's first and second solo where every note is made to tell. The brooding spirit of the blues, and Robin's airy, soulful guitar hang over the entire track. I wish the second solo had lasted longer and the track listing had been edited to exclude two or three of the undistinguished songs on the album. 'Riff No.7 (Still Alive)' is lyrical and funky with a tight groove. The changing chords and phrases build the tension and, once again, Robin's tone and soloing is excellent but way too short (track length 3:11?!). 'Dreams That Shone Like Diamonds' has a potent and subtle emotional resonance. The chorus is haunting and memorable, catchy, reflective. The verses are mostly spoken by Robin Trower like a kind of prayer and the track contains some of Robin's most moving and eloquent playing. 'Strange Love' has a slow, flowing groove. Robin's vocals are gentle, yet passionate. His lead guitar shines on this song with extraordinary lyricism, feeling and spirit. Memorable lyrics. 'The One Saving Grace' has a more pronounced sound than the other tracks on the album, except the title song. The drums and percussion have a more solid feel and Robin whips up the tension with his soloing. Robin's guitar tone is breathtaking and his playing is poetic and passionate (track length 3:06?!). Another song that deserved a longer solo and fade out. In terms of the overall sound of the album - dynamics, rhythms, performances - the inclusion of a talented and expressive bass player may have radically changed the pedestrian feel of some of the songs and added new and intense dimensions. The beauty of great (perhaps good) music is that you can listen to it many times with added pleasure, similar to rewatching a movie or rereading a novel. 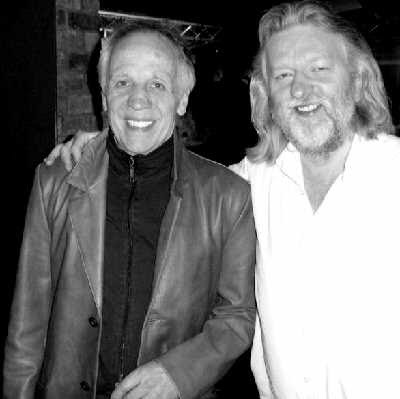 If Robin Trower's music continues to touch your mind and heart you are on a passionate and rewarding venture. Thank God for rock bands like Europe. The band are bringing their atmospheric, melodic and energetic music to the Ulster Hall, Belfast on 3 March 2015. Their superlative performance at the Sweden Rock Festival on 7 June 2013, in front of 30,000 people, is proof that the band have entered a highly creative and inspired musical phase. Most musicians and bands reach an impasse, sooner rather than later. It takes self-determination, spirit, vision and genuine talent to invigorate a career that alternates between highs and lows and the breakup of a band. Presently, Joey Tempest is singing with supreme range, power and stamina. And guitarist John Norum is a truly talented musician who plays with great artistry, superb tone and inspired phrasing. The 'Live and Loud' Tour coincides with the release of a new album "War of Kings" in the UK on 2 March 2015. The album is being hailed as Europe's strongest record in years and contains some of the band's best creative work. A powerful reminder that Europe are capable of rock-music making of the highest order. 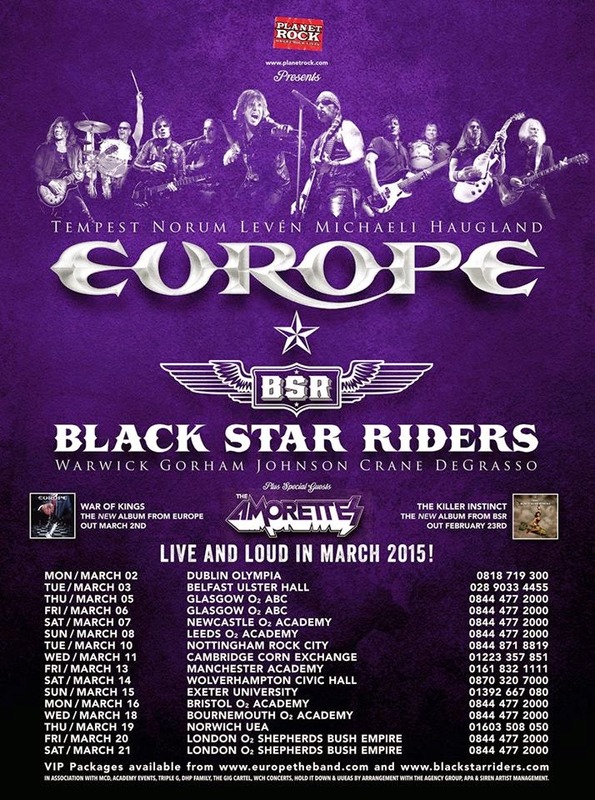 Joining Europe on the tour are Black Star Riders featuring Scott Gorham (Thin Lizzy) and Ricky Warwick (vocals/guitar) who was born in Newtownards, Northern Ireland. The Belfast date should be a memorable gig for Ricky. 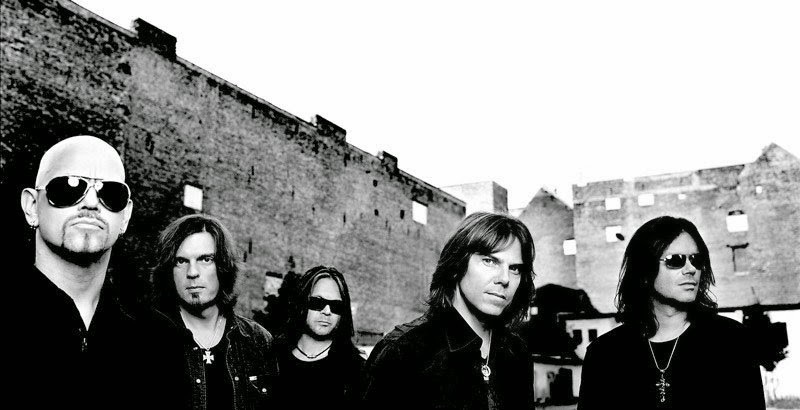 Black Star Riders set will include songs from their new release "The Killer Instinct" and Thin Lizzy. Special guests on the bill are all-girl rock band The Amorettes. Postscript: Unfortunately, some artists and bands fail to include Belfast or Dublin on their gig schedule when touring Great Britain. This deprives music fans of witnessing their favourite group in performance. Travelling to a concert in England, Scotland or Wales may not always be possible for music fans by reason of financial or health issues. I have been lucky to attend concerts in many wonderful indoor music venues in Ireland, the UK, Europe and the United States. I can honestly say that the Odyssey Arena in Belfast qualifies as one of the worst venues I have had the misfortune to experience. The acoustics, seating, and security personnel [sic] verge on the abysmal. The management encourage irresponsible drinking during concerts which is both disheartening and inappropriate. A venue to be avoided unless you're already inebriated or have complimentary admittance. It's inspiring news that Robin Trower is touring the United States in 2014 starting in St Louis on October, 4, and culminating with a concert in Fort Lauderdale on November, 14. 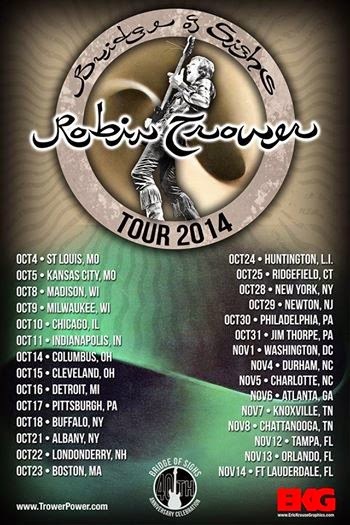 North American fans will also be delighted that Robin is planning concerts in the Southern and Western states in the summer of 2015. 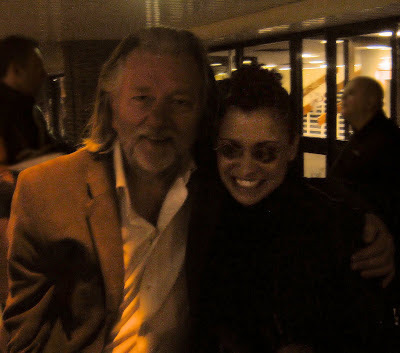 Following a short tour of the Netherlands beginning on March 11, 2015 in Arnhem, Robin will play concerts in England and Scotland. The following tour dates are confirmed and 'Presale tickets' are available. 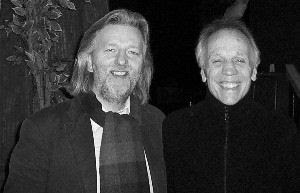 Robin Trower will be joined on the US & European tours by Richard Watts (bass and vocals) and Chris Taggart (drums). Robin has experimented, recorded and played concerts with this 'new' line-up, and appears to be satisfied that his music is best explored, created and delivered, at this stage of his career, with different musicians. I hope Robin's 'present' musical vision is successful and that in terms of sound, quality, emotion, dynamics and group cohesiveness that each concert on the United States & European tours highlight how revered Robin's guitar playing really is. Regretfully, due to health problems, I will not be attending any of the concerts. However, I look forward to reading reviews and watching footage posted online. 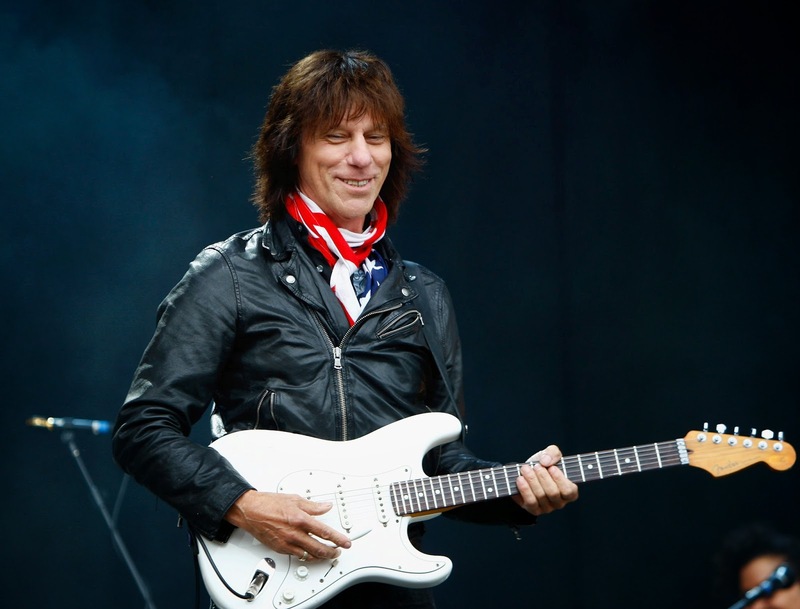 The next phase of Jeff Beck's musical career and vision incorporates changes to the personnel in his band. On his refreshed website Jeff reveals his wish to explore unique and fresh musical territory. Rehearsals, recording, and recent 'live' performances feature an interesting line-up of musicians: Rhonda Smith on bass, Jonathan Joseph on drums, Lizzie Ball on violin, and Nicolas Meier on guitar. Jeff's follow up album to Emotion & Commotion (released in April 2012) has still to be finalised and a release date announced. 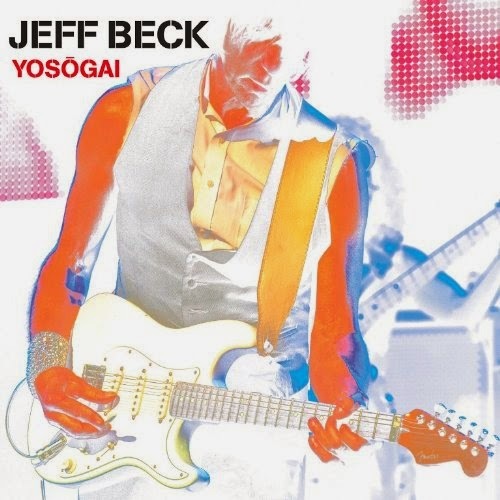 However, to mark the beginning of Jeff's World Tour in Japan a three track CD titled Yosogai was released on 5 April. The tracklisting includes: "Loaded," "Why Give It Away" (featuring Sophie Delila), and "Danny Boy" (featuring Imelda May - recorded live at The Moody Theater, Austin, TX). Click on the album cover to listen to track samples. As part of his forthcoming 'World Tour' Jeff and his new line-up will play seven shows in the UK & Ireland. I'm surprised that Jeff's 'new' band has a second guitarist albeit of the caliber of Nicolas Meier. No doubt Nicolas' guitar style and inventiveness will prove fruitful during the rehearsal and recording stages. I prefer Jeff with a rhythm section of drums, bass and keyboards - a line-up sound that has a different voice. One that suits Jeff's lyrical, graceful and compelling guitar virtuosity. I hope the music on the forthcoming album is inspirational and emotive and meets Jeff's expectations of producing a distinctive sound. Jeff recently talked to Rolling Stone magazine about the new album, his collaboration with Brian Wilson and the possibility of working with Jimmy Page. 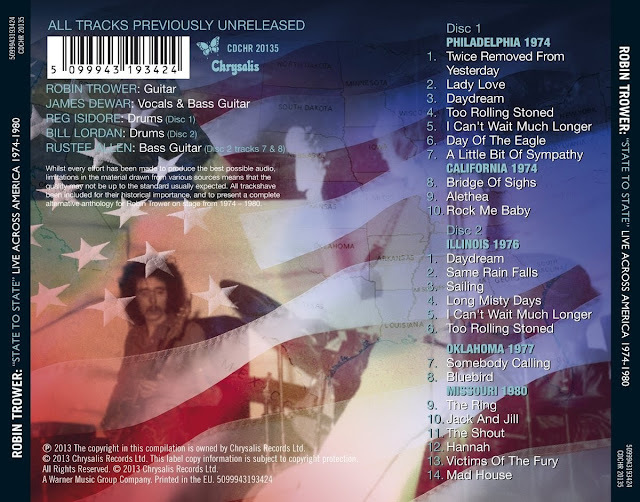 A two CD set released on October 04, 2013 includes twenty-four previously unissued 'live' performances by the Robin Trower band. The album includes performances recorded in Philadelphia and California (1974), Illinois (1976), Oklahoma (1977) and Missouri (1980). The late and supremely gifted James Dewar sings on each track on the album, and plays bass guitar on all but two tracks on Disc 2: 'Somebody Calling' and 'Bluebird'. Robin was feeling his way into a new phase of his career and brought in Rustee Allen on bass guitar with the intention of exploring, to an extent, funkier rhythms and sounds. Robin believed this would enable Jimmy Dewar to concentrate on fresh ways of delivering his distinctive and expressive voice. Whether this experiment was successful, or not, is left to the listener to decide and those fortunate to see the different groups in performance. I believe the personnel change, while transforming the scope of Robin's music, left James Dewar both musically and personally exposed on stage without his bass guitar. All of the tracks on Disc 1 feature the magnificent drumming of the late Reg Isidore. Disc 2 highlights a significant change to the group: Bill Lordan replacing Reg Isidore on drums. 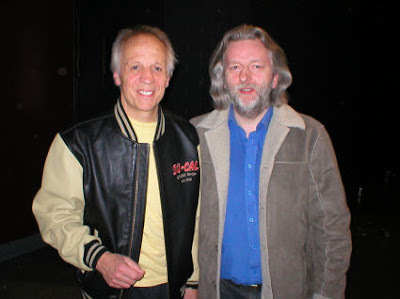 Both excellent musicians with different musical identities and style. I believe that Bill Lordan's musicianship and presence improved the sound of the group both in performance and in the studio. His drumming is inspired and dynamic and enabled Robin to explore different musical concepts. The version of 'Alethea' recorded in California in 1974 highlights the contrasting techniques and creative abilities of both drummers. This 'live' collection contains music of a high caliber (even where the recordings are of a low standard and Robin's guitar tone is adversely affected by feedback and malfunctioning effects pedals) played by superb musicians and fronted by a guitar player who pushes himself to the limit each time he takes to the stage. 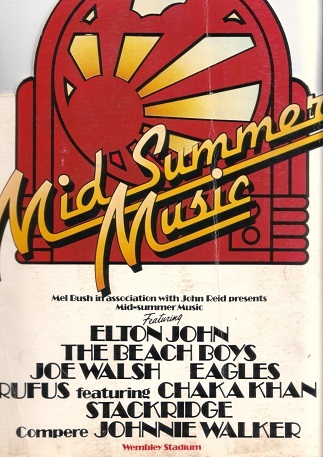 The highlights of the performances are those recorded in Illinois during 1976. All of the tracks, especially: 'Daydream', the wonderful 'Same Rain Falls' and 'Too Rolling Stoned' contain some of Robin's most expressive, moving and inventive guitar playing. His excellent musicianship, guitar tone and use of effects confirm that Robin had arrived at an artistic peak. This, however, could not have been achieved without the evocative, subtle and tremendous James Dewar on vocals & bass and Bill Lordan on drums, who both combined to create a tight and superb rhythm section. The track 'Sailing' is remarkable and atmospheric. Jimmy is in great voice and the melodic groove is of deep emotional depth. Robin's guitar tone on 'Long Misty Days' resembles a jet aircraft taking-off with its huge brooding sound. The live performance is magnificent, transcends the studio version, and contains some of Robin's most eloquent and emotive playing. It would be great to hear other songs from the Illinois performance. Robin, Jimmy and Bill are outstandingly cohesive and, in terms of sound and inspiration, generate a well of sublime music which doesn't fail to get the adrenaline flowing. A striking feature of the recordings is the power, texture and soulful voice of James Dewar. 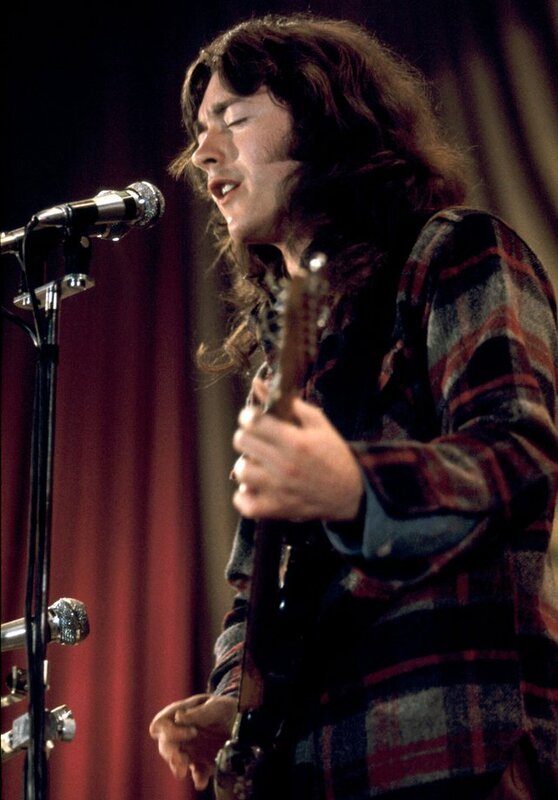 At times, the unique quality of Jimmy's voice elevates itself above the atmospheric music, and the listener is drawn to the magical and beautiful expressiveness of his vocals. Truly breathtaking music.